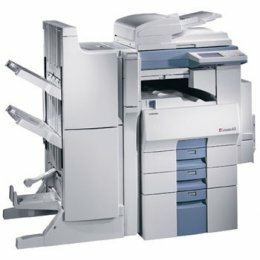 Toshiba's powerful e-STUDIO 45 digital copier is a flexible document processing solution that offers a full array of optional fax, scanning, and network printing capabilities. It combines superior image quality and custom finishing capabilities in an affordable, compact copier that offers exceptional value and versatility. It's ideal for space-limited workgroups or environments that require a shared, network-compatible system. With fully upgradeable, modular add-on features and expandable open architecture, it can grow with your business.